Whether you run a small, medium or large company, you want your products to arrive intact and in the best condition. So, the question emerges: what must be taken into account to achieve this? When it comes to shipping products from your company, you might think that any box that is nearby can be used for shipping. But are you sure about that? There are parts of the shipping process that you do not control, for example, if your product will be stacked, the treatment it will receive, the gaps in the interior, and many others. So, what is the best bespoke packaging solution? Here are 8 key points to take into account in order to choose the best cardboard packaging. Custom shipping boxes are great protectors for fragile products, although it can suffer from problems derived from sun exposure, water, humidity, etc. If your product is perishable or can be affected by these external factors, consider an alternative to cardboard. Will your product be placed loose in the box? Or is it embedded? Is it made from different materials? Is it fragile or very fragile? And the form, is it geometric or a non-standard shape? Answering these questions will help you choose the right packing material. If you think that the product might be damaged during the journey, it is important to evaluate the different types of packing and packaging to ensure that it is as well-protected as possible. The way in which the packaging is going to be handled also influences the strength of the cardboard you will require. You can’t simply assume that courier operators will always be careful with the boxes during the shipping process. 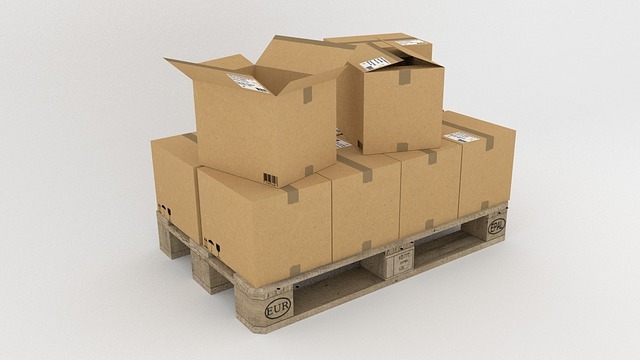 Will your cardboard packaging be stored on shelves or stacked on pallets? Since the weight of the cardboard box will depend on this, it needs to be considered. This aspect also involves determining whether the storage will be indoors or outdoors, in addition to its duration. You need to define what shape you want it to have, its format, dimensions, thickness of the cardboard, the opening system, the possibility of reuse, etc. You should also consider the protection of the environment, energy saving, and the minimisation of waste. Many manufacturers in the European market now prefer reusable packaging. In addition to your brand name and image, it’s also highly recommended to include some kind of graphic symbol regarding the handling, storage or transport that the product may require, in order to guarantee that the product arrives in the best possible condition. For example, if the product is fragile, you should include symbols that warn of it so that the person who handles it is careful. Determine the type of transport in which your cardboard boxes will be shipped to their destination (land, sea, air) as well as determining if the shipment will be individual boxes or palletized. There are some cases in which a series of standards are imposed according to the characteristics of a product, and the packaging that contains it. You must review them and take them into account.